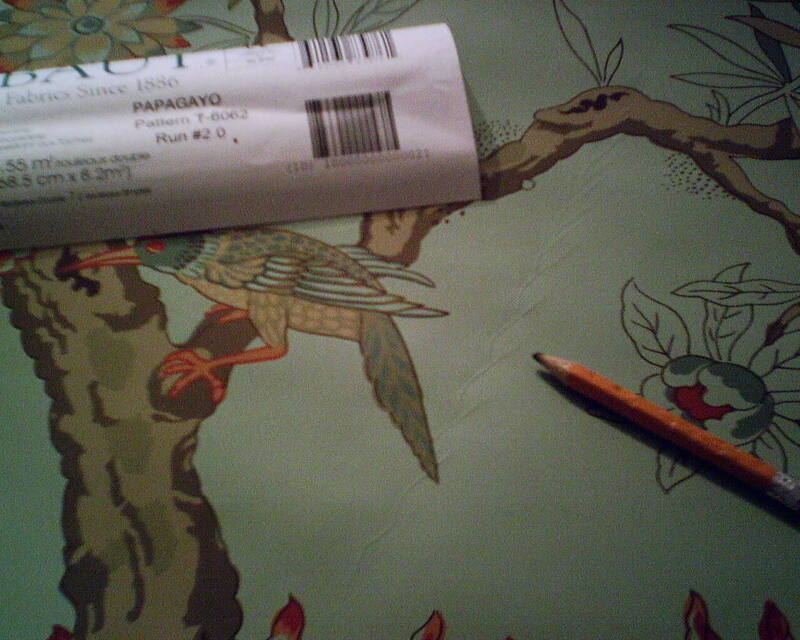 Unrolling this wallpaper revealed some disappointments – In the first photo, you see a ridge that has been pressed into the paper. Also in that shot you can see the bane of my existence, the all-too-common-but-so-easy-to-prevent-if-they-would-just-use-a-little-bubble-wrap-before-shipping banged edges. In the second photo, most of this roll got caught somehow in the printing press, and got wrinkled. 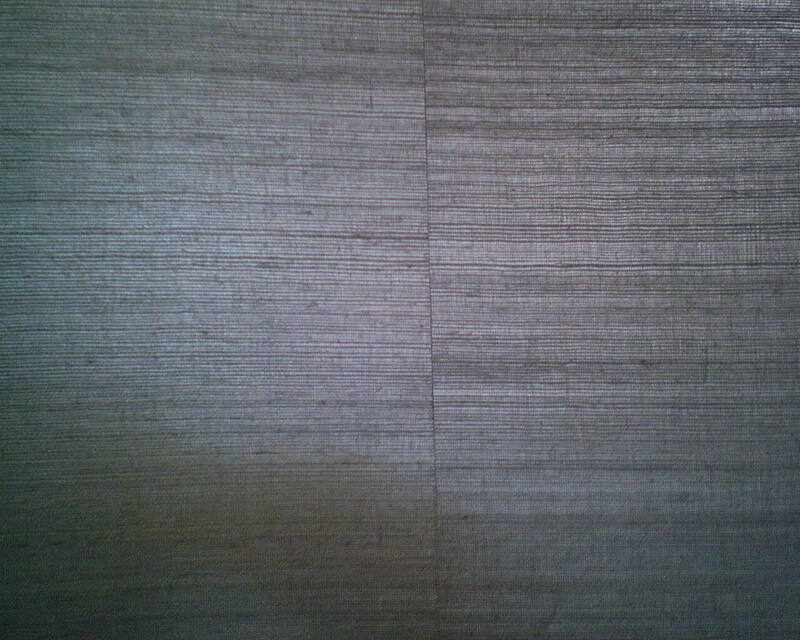 Sometimes banged edges will flatten out when the wallpaper is dry (These are too noticeable and so the roll is unuseable), or sometimes you can plot so that that edge of the paper will be cut off, for instance, when you come to a door. But the wrinkles are inescapable, and caused an entire 9-yard bolt to be unusable. 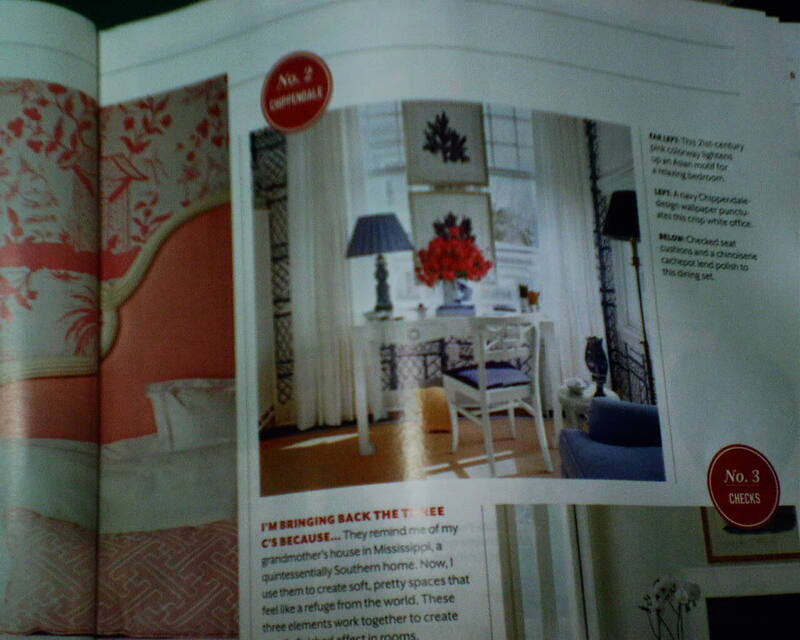 The paper is by Thibaut Designs, usually one of my favorite brands for both pattern and workability. Luckily, I had the client order enough paper so we can still get the room finished, without having to use any of this defective stuff. Most of my friends use holders with snap-off blades, though. Well, I got one for Christmas, at the Happy Hangers Holiday Party earlier this month. Here are front and back pics. I was eager to try it out – but didn’t like it. I have to admit, the blade is SHARP. But it’s no easier to get into tight spots than my single edged blade. And, worse, this particular knife had some kind of spring mechanism that allowed the blade to slide back and forth as I was trying to cut. This was decidedly NOT a good thing. OK, I gave it a shot. 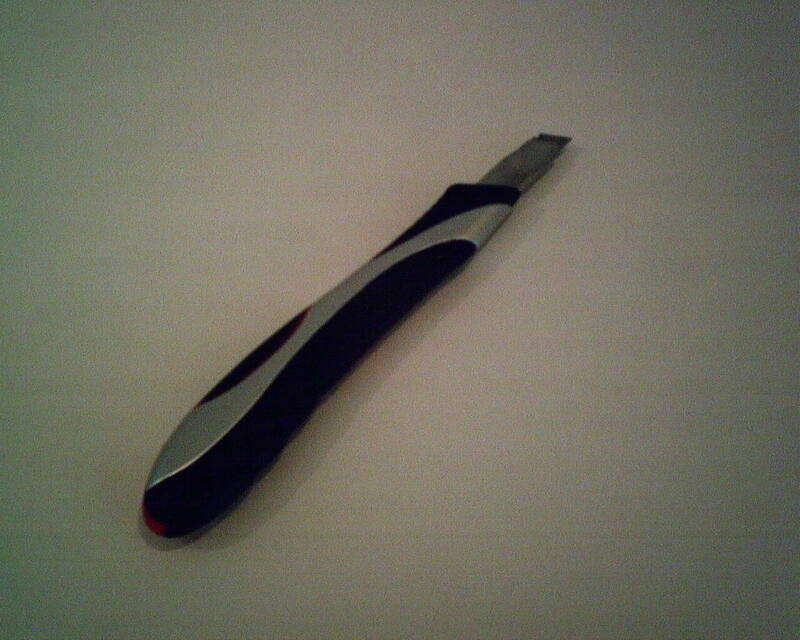 You other guys can keep your snap-off blade tools, and I’ll stick to my single edged razor trimmer. Maybe I’ll try another brand of the snap-off, but so far, I have not been impressed. Sliding blade. Another model I tried had so much grease on the blades I was afraid it would stain my wallpaper. And another one broke in half the very first time I tried to use it. Yeah. 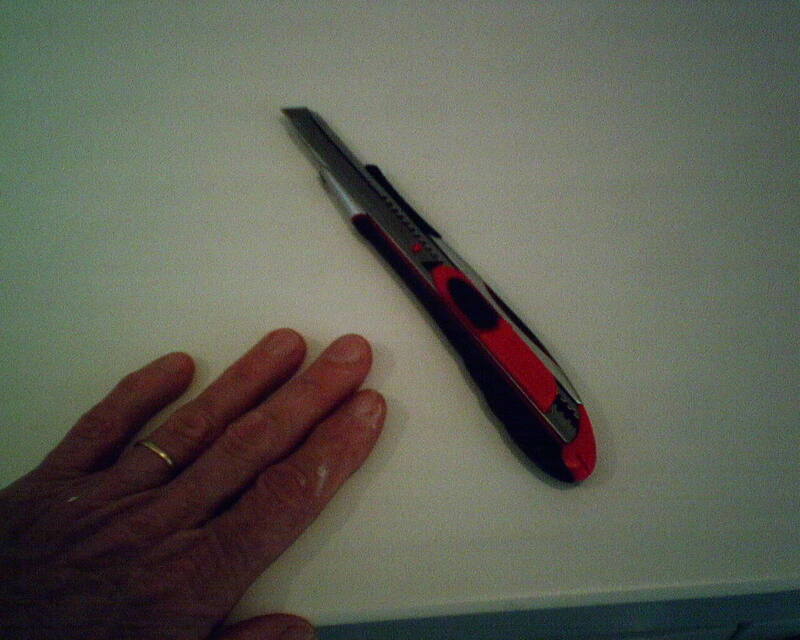 My trusty single edged trimmer has served me well for decades – I think I’m gonna stick with it. 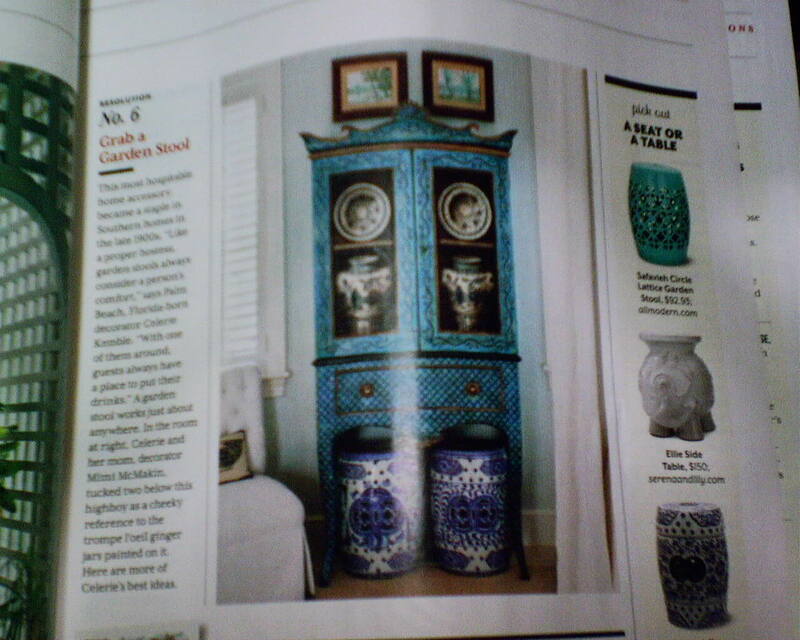 Here I have installed some Phillip Jeffries silver metallic grasscloth on the back of an entertainment center. This was in a renovated and updated and enlarged bungalow in the Heights. 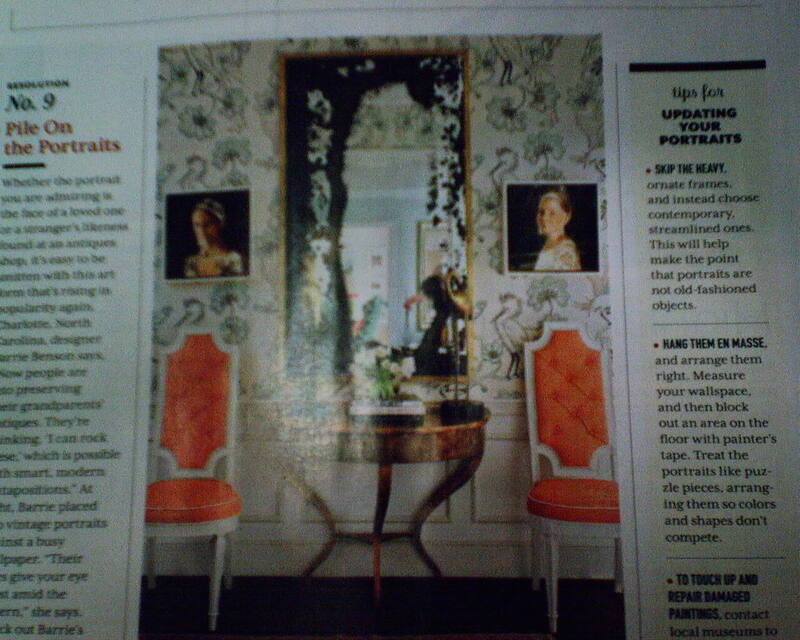 The interior designer is Rachel Goetz (Google her). 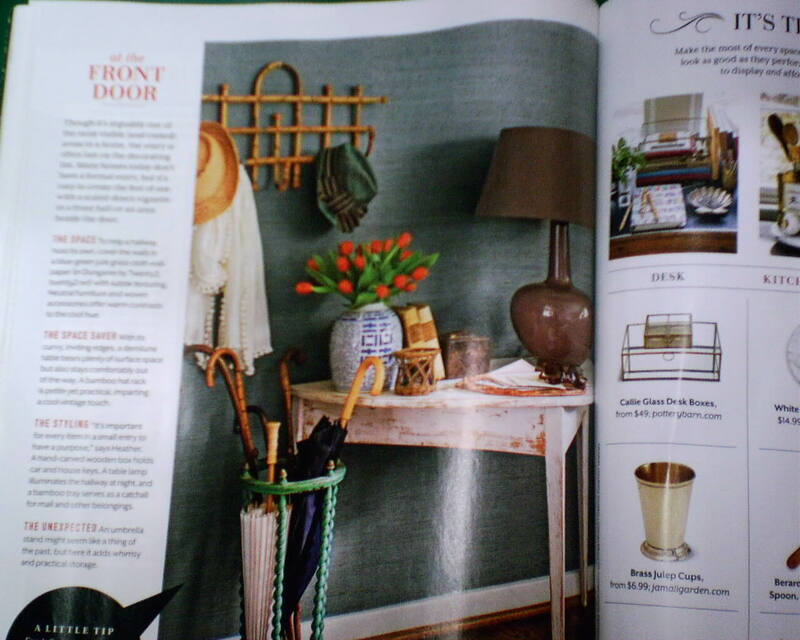 Papering the backs of bookshelves with a textured material is very hot right now. 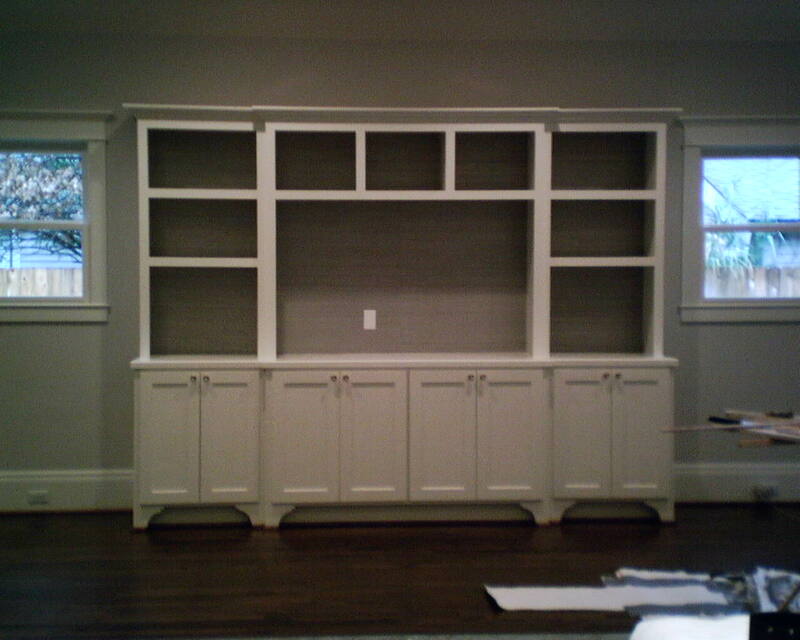 In this home, the designer tied rooms together by using the same grasscloth on this entertainment center as in the study. 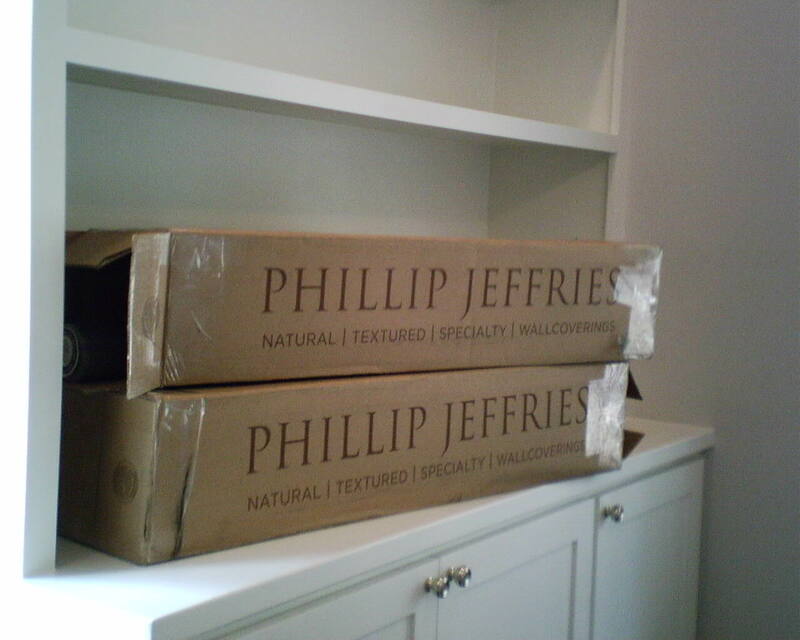 In these boxes are 14 single rolls of Phillip Jeffries brand silver grasscloth for a study and some bookshelves in a house in the Heights. It’s an old bungalow that has been completely gutted, then enlarged and updated. The workmanship is masterful – I will have to remember to get the name of the contractor. 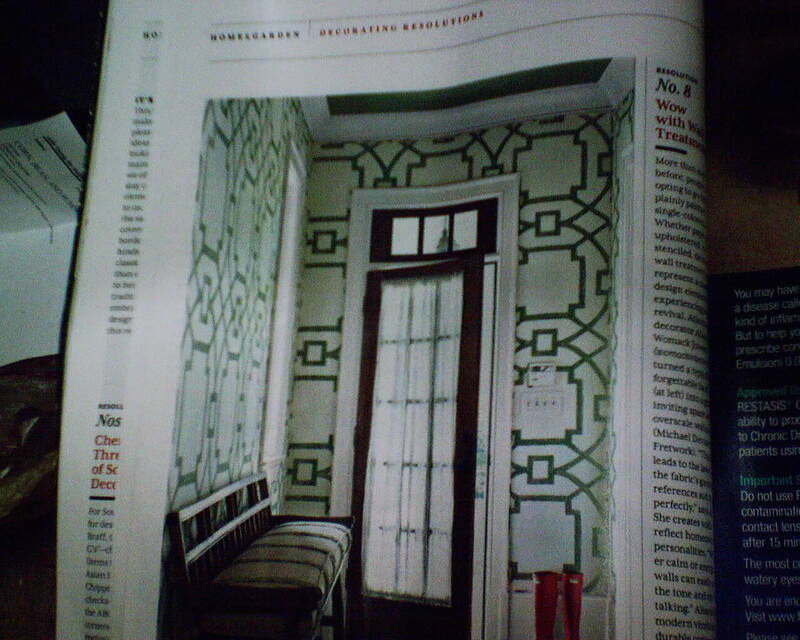 The interior designer is Rachael Goetz (Google her). She helped pull the whole remodel together, and it looks fantastic. Because the seams are so noticeable, it’s important to “balance” the room – plot the layout and trim the strips so that their widths are somewhat equal. For instance, you don’t want to have three 36″ wide strips, and then one that is 19″. It would look better to have four strips that are 31 3/4″ wide. All this measuring and trimming takes more time (a LOT more time), but it really makes the room look better. “Non-woven” papers are all the rage these days, as manufacturers rush to provide DIY homeowners with goods that will strip off the wall easily, and that are environmentally-friendly. Many non-wovens, however, present a unique cacophony of challenges. One of these is that they can be grossly stiff and cantankerous, which makes getting them to conform to the wall pretty much of a battle. This particular product is a paste-the-wall (instead of paste-the-paper), which comes with its own idiosyncratic game plan. Here, after I have trimmed my strips to size and am preparing to hang them, I have rolled them backwards, which will prevent the face of the paper from bopping into the pasted wall, and which will help erase its memory (wanting to stay curled up as it was on the bolt). This stuff is so stiff, and wants so badly to curl back up into a tight roll, that my usual tools won’t hold it. 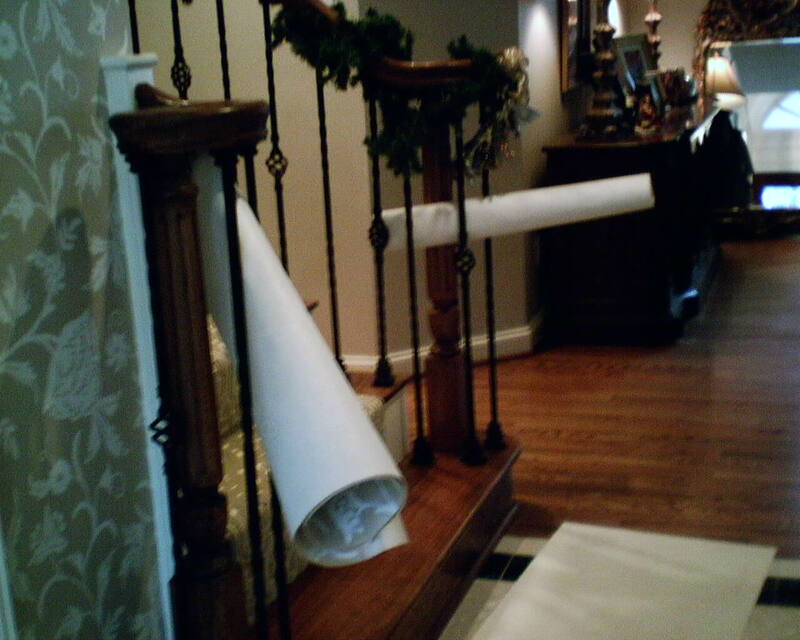 I am lucky that my clients have this stairway, with convenient balusters, in between which I can stick the rolled strips of paper, to hold them and hopefully erase their memory, until I am ready to hang them. WHAT is the Brown Stuff? 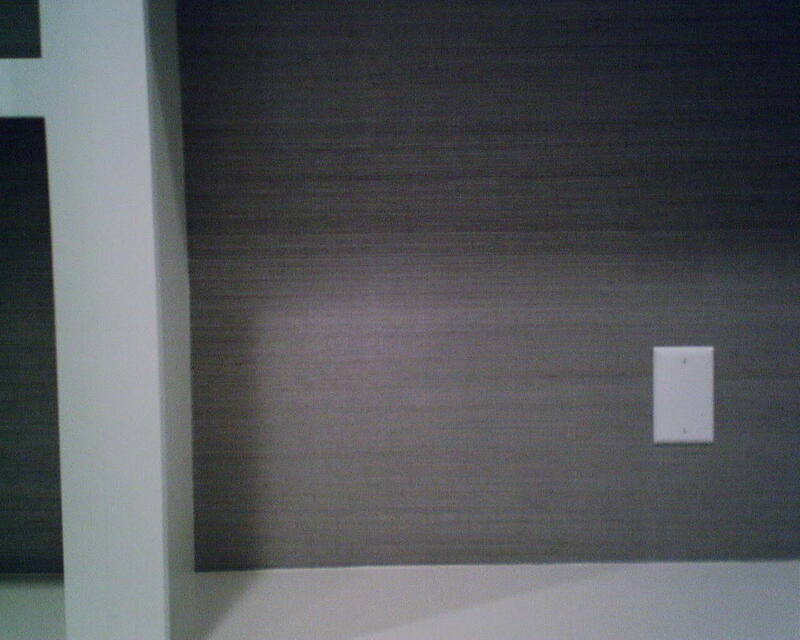 In the background, you see my primed and ready-to-accept-wallpaper wall. 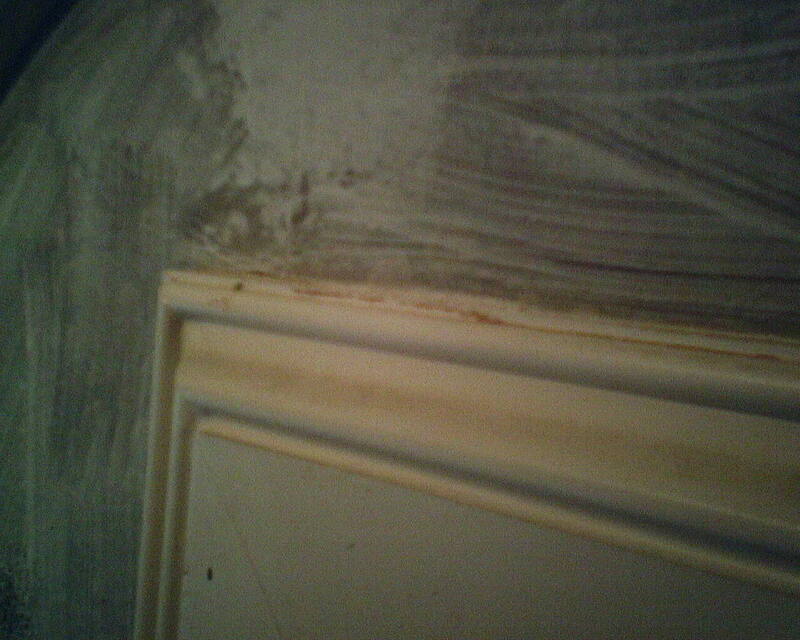 On top of the door frame, you see some dark reddish-brown streaks. 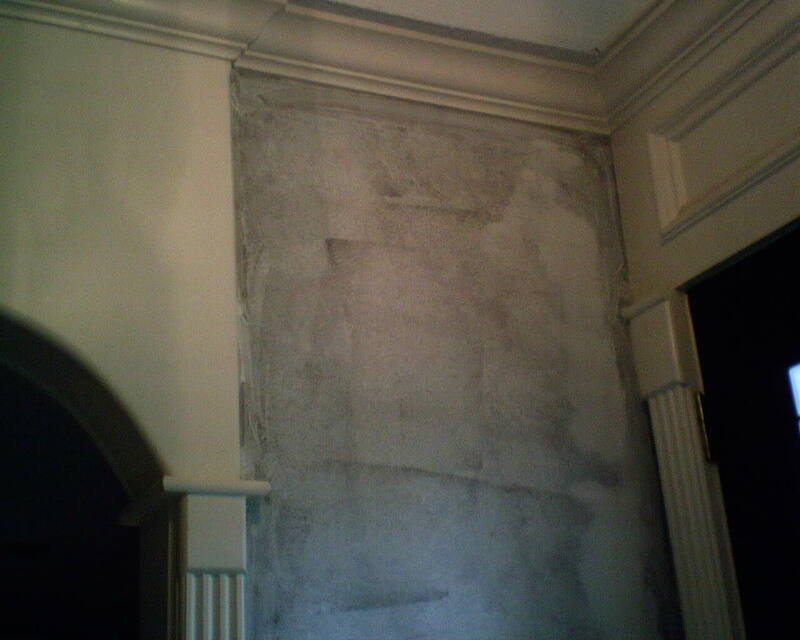 These are remnants of paste from left from the previous wallpaper installer. 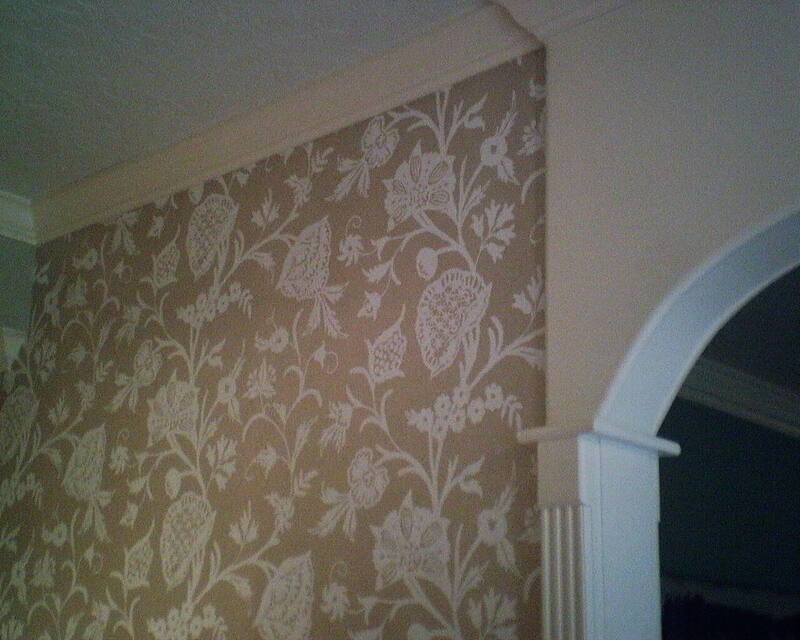 I found these reminders in all three rooms I papered in this home. In the photo, the dark red paste is most likely clay-based, a type of adhesive I don’t like to use, because, although it has high tack and holds the paper well, it stains and is difficult to clean off. 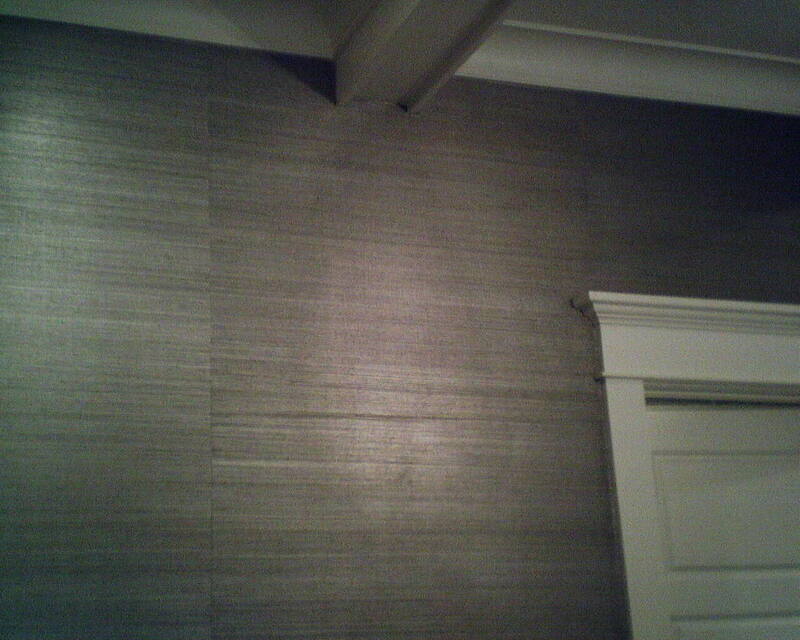 It’s typical that paste residue will get on woodwork or ceilings, and after you trim off the wallpaper, you are supposed to wipe off the paste residue. Here and in the other rooms, I don’t think the previous guy did a bad job, and I don’t think he carelessly left paste residue. When the paste and woodwork and everything else is wet, it’s very hard to see if any residue is left behind. Once it dries, though, it gains color, and becomes more easy to see. I don’t know how many years ago this paste residue got onto the woodwork, but I found it interesting that it wiped off easily when I wiped it with my damp rag. 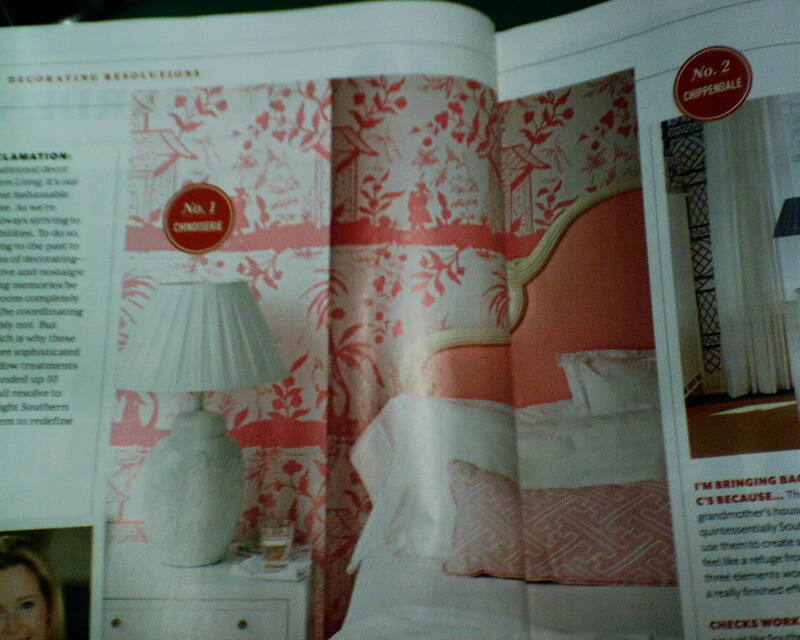 The current issue of Southern Living Magazine shows quite a number of rooms with wallpaper. 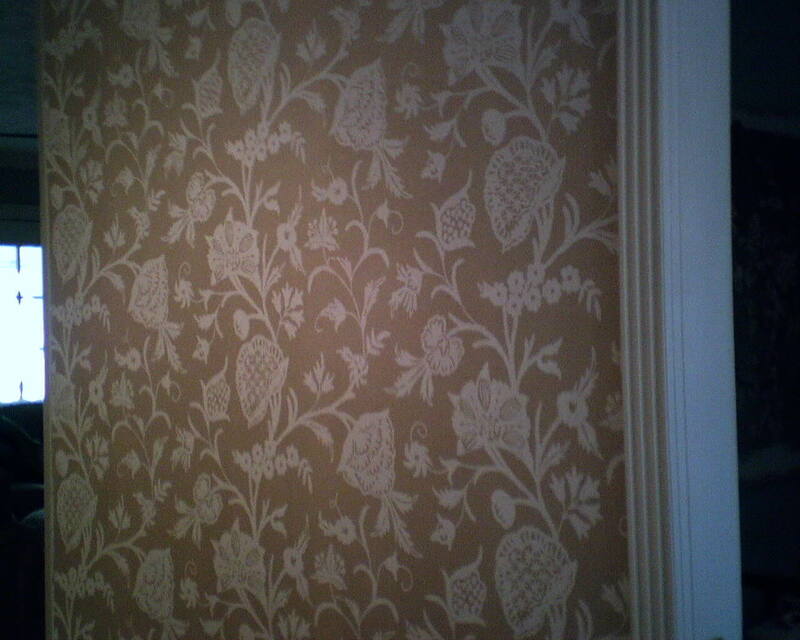 I know that to you this just looks like pretty paper in a nice home. But this arched alcove around the French doors leading to the study was actually a notable feat of engineering. It took about two hours. 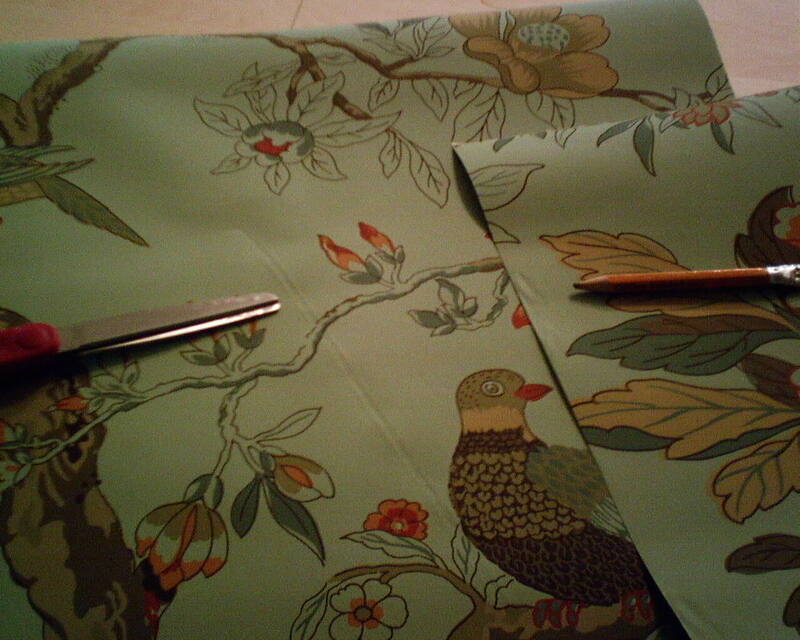 And it also took a full double roll – a reason that I factored in when I measured for this room. There is a “pineapple” dead-center on top of the door, which grounds the whole space. Next, first, the “pineapple” looking thingies are exactly centered on each wall on either side of the French doors (which were not the same width, BTW). 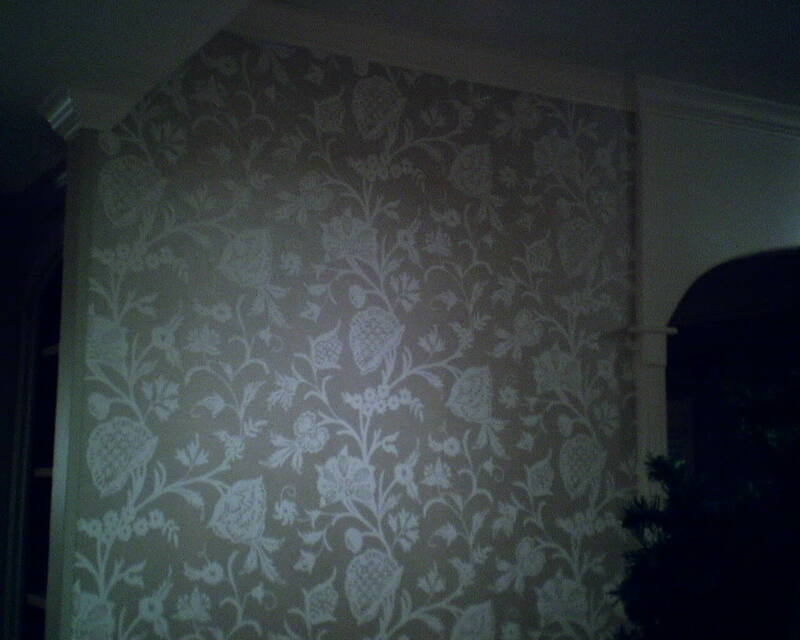 Second, allowing for the wallpaper pattern’s drop match, they are perfectly synced with the pattern to the right. 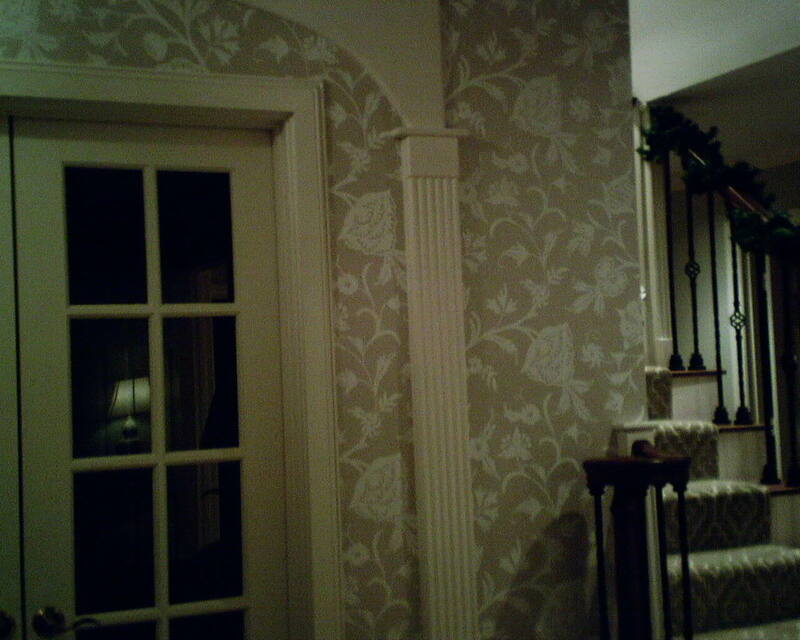 This was harder to do than it sounds, because these strips around the French doors do not run all the way up to the crown molding, so there was nothing to line them up with. 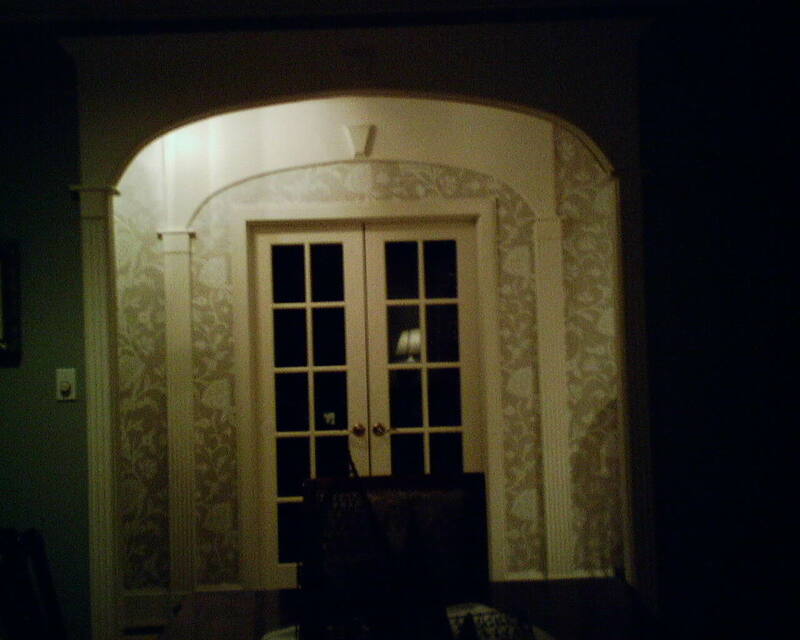 Third, when you look to the left of the French doors, the pattern between the moldings continues on with the pattern to the left of the molding, as if the fluted molding was not there. OK, that may be difficult to follow. But it makes sense to ME. 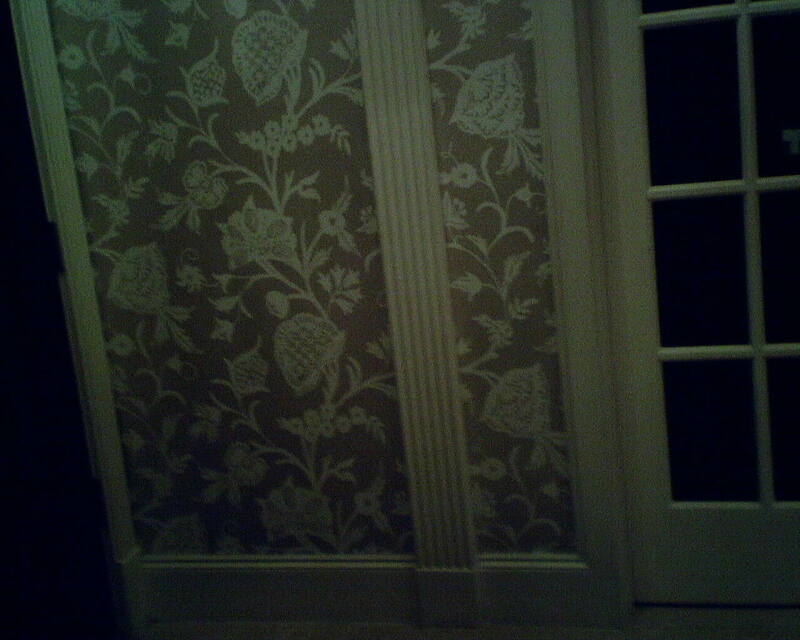 This wallpaper pattern is printed on a trendy non-woven “eco-friendly” non-woven material, and is by Thibaut Designs. 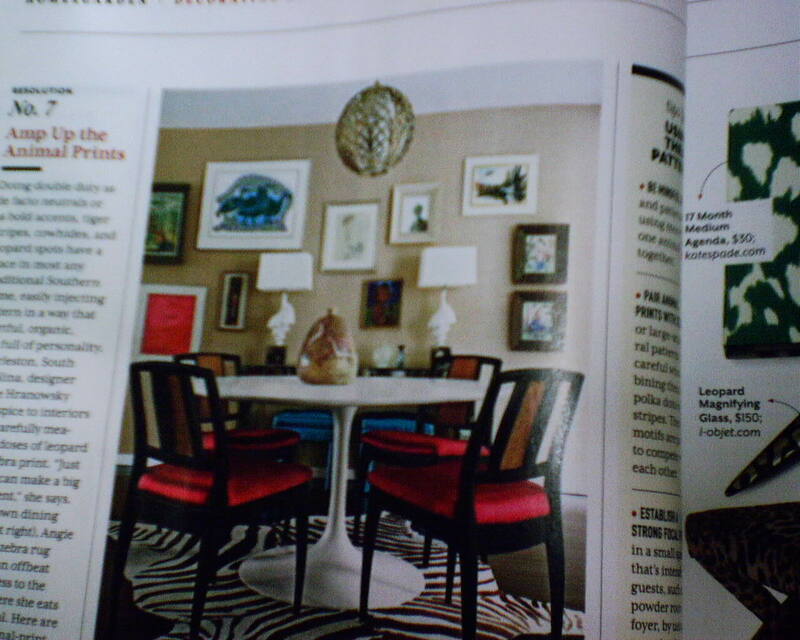 The interior designer is Pamela O’Brien of Pamela Hope Designs, here in Houston. You are currently browsing the Wallpaperlady's Blog blog archives for December, 2014.